Despair transported through compassionate salvation, Gillian‘s crisp blues-baked biscuits feed the soul while easing tired bones and weary hearts. Resonant and refined, “Harrow,” embellishes wisely, speaking volumes in rich bluegrass tapestries overlaid in subtle Celtic runs and casual country-jazz licks. 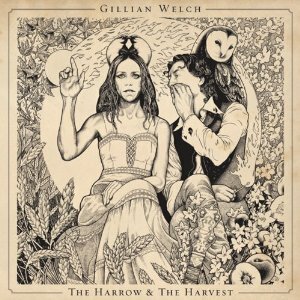 Impeccable Dustbowl Americana lovingly embraced, “Harvest,” trims tradition, updating with sharp, unvarnished vision. Gillian plays Madison’s Capitol Theater July 21st.